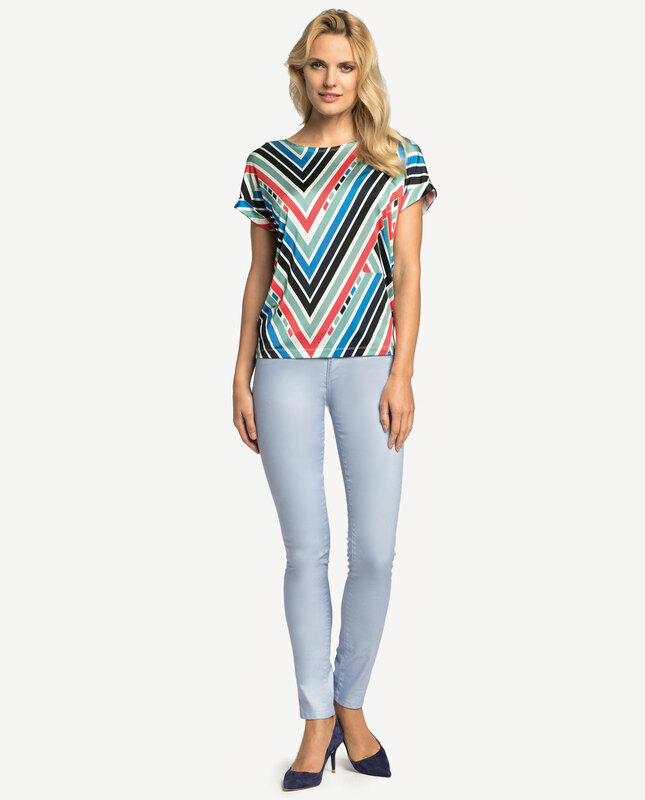 This short-sleeved feminine top features a colourful geometric print. 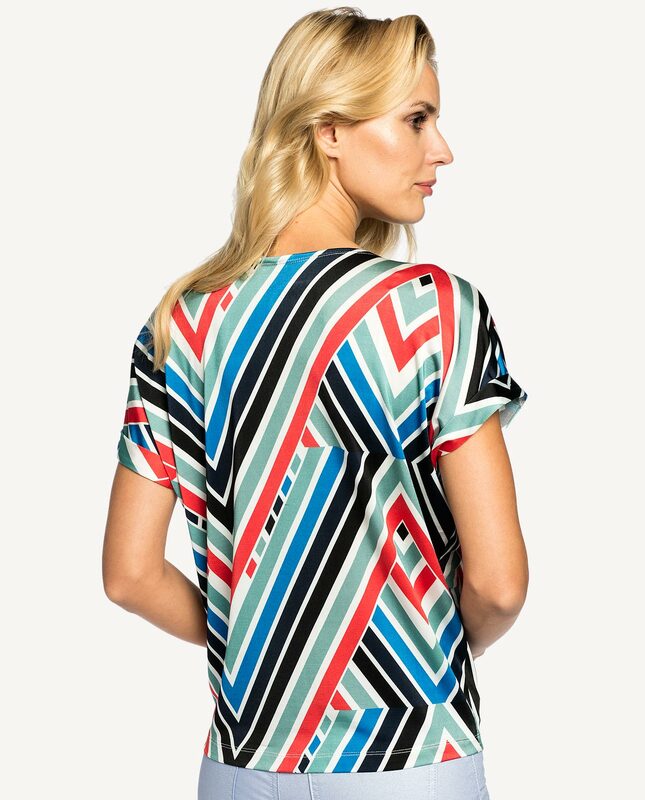 Made from soft and smooth fabric which shapes nicely on the silhouette. Sleeves with a subtle cuff. 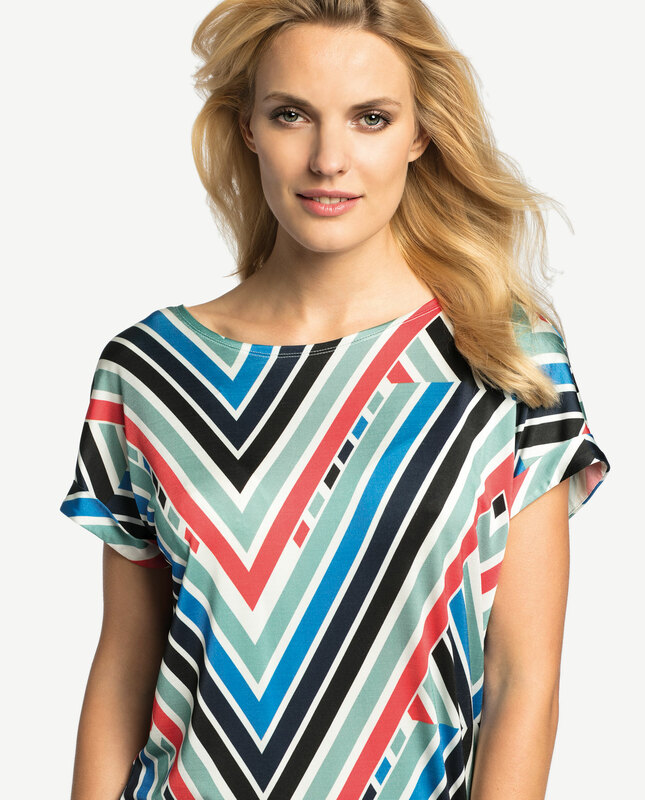 Tops, foundation pieces for a number of looks, will give you a perfect opportunity to make a statement via what you wear. Go for vintage cigarette trousers and a fitted jacket to create an appropriate business wear. For an evening out, choose high heels and subtle accessories. 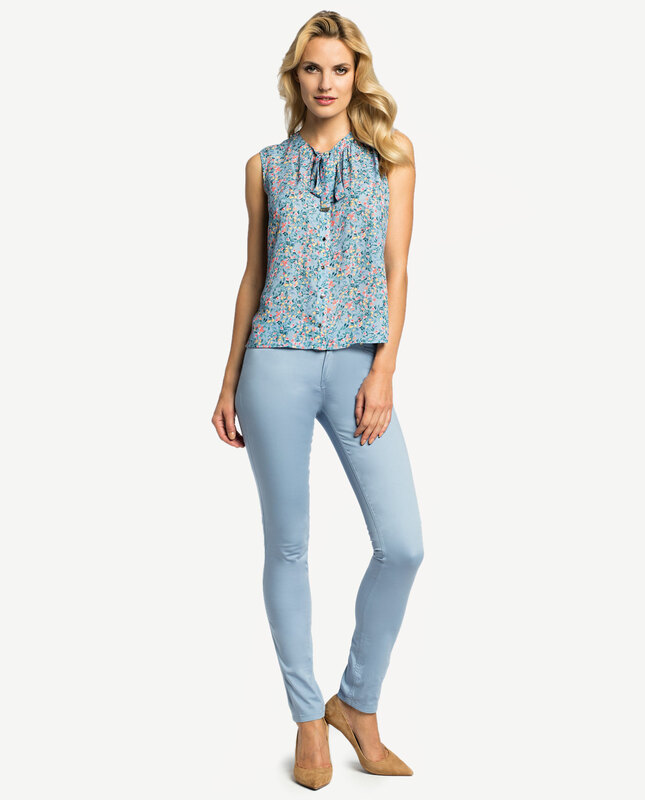 Thanks to its versatility, it can match a casual outfit as well.